Recker finally reaches his boiling point and confronts Jones about his lack of progress in finding Agent 17. The professor, feeling guilty about not locating him, admits to a secret he's been hiding. As Recker is trying to find Agent 17, Mia launches her own investigation into her friend's death, frustrated that the killer still hasn't been brought to justice. Her lack of experience causes a major mistake--one that may cost the life of both her and Jones. 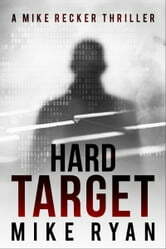 Recker must not only find Agent 17, but save the lives of his friends before it's too late.